While your Woodbury Buick and Chevrolet dealership alternative is conveniently located in New Richmond, WI for those seeking used cars, we’re proud to serve our customers in Hudson and Baldwin with the best new GM vehicles as well. We have a great selection of Chevrolet and Buick models such as the Buick Enclave and other popular Chevy models such as the Equinox, Cruze and Traverse. See our hours and directions page, and get turn-by-turn directions from New Richmond or Hudson. 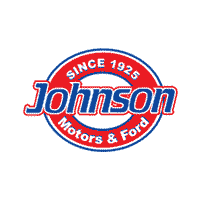 Give our Johnson Motor Sales New Richmond sales associates a call on (844) 819-5303, or even send an email and receive outstanding customer service unlike that of any other dealer. While we do serve Baldwin and Stillwater customers, Johnson Motor Sales New Richmond is also a fantastic choice for anyone looking for certified pre-owned or used cars in New Richmond. Contact us and let us know if you are having difficulty finding the vehicle you’ve been searching for. You can even trade-in your vehicle to help purchase the one you want here, or use ‘Show and Sell’ to sell your vehicle and leave with cash in hand, eliminating the need to buy! Be sure to find out how the new Chevrolet Silverado 1500 stands against the competition, and also look at our lineup of the new Chevrolet Cruze, as well as the all-new Chevrolet Malibu, right here in New Richmond, WI! Woodbury Buick and Chevrolet shoppers, find vehicles under $10k and save the most on your next purchase! As your New Richmond used car dealership, we’re dedicated to getting you into your next vehicle, so schedule a test drive or come visit us today! STILLWATER SHOPPERS, FIND THE CHEVROLET SILVERADO IN NEW RICHMOND! With its perfect blend of comfort, performance, and durability, the Chevy Silverado has become the industry standard for American trucks. Come in and see our huge selection in New Richmond of Silverado 1500, Silverado 2500HD and Silverado 3500HD vehicles. Johnson Motor Sales New Richmond also has the Colorado, so you are sure to find the right truck for your needs. Trade-in your vehicle to upgrade to a truck, or utilize ‘Show and Sell’ to get a check for that vehicle you no longer need. You will also find fantastic sales on used cars in New Richmond at our dealership! See the latest reviews for our New Richmond dealership by visiting our Google+ page. Johnson Motor Sales New Richmond also offers special discounts to Woodbury Chevrolet and Buick buyers. Our GM service department in New Richmond, WI is prepared to serve Baldwin Chevrolet and Buick customers’ vehicle needs. From our online service appointment and parts order forms to our service specials and comprehensive tire department, we are a great choice when looking for GM service, not only in New Richmond, but also the Hudson area. Our highly trained service technicians are standing by, so give them a call at (844) 757-8856 with any questions you may have! Our experts also perform vehicle maintenance on all makes and models, so if you are looking for the best value on an oil change, brake job, battery service, tire rotation, engine flush, and more, entrust your vehicle to Johnson Motor Sales New Richmond. We also extend our services to Woodbury Buick and Chevrolet drivers.